For many people, getting an offer from a startup creates mixed emotions. Often, the role would sound perfect during the interview process, only to find that the offer package is far from expectations. The cash compensation is likely lower than competing offers, and instead, candidates are told that equity is the path to future riches. Even for seasoned startup veterans, understanding the value of equity can be challenging. This is compounded by the fact that many founders, recruiters, and hiring managers often lack a deep understanding of it themselves. The disparity between how candidates and companies prioritize equity leads to declined offers across the startup ecosystem. To address this challenge, our Talent Infrastructure team at Lightspeed recently hosted a portfolio company workshop to discuss equity fundamentals and share best practices on selling the value of equity. We want to share some learning from the session to help startups improve their ability to hire top candidates. It starts with a simple question, why would anyone take a fraction of the cash compensation an established company can provide to join a high-risk startup? I addressed candidate motivators previously and will focus solely on compensation in this post. The best companies don’t just give offer details, they tell a story about the potential value the offer represents. 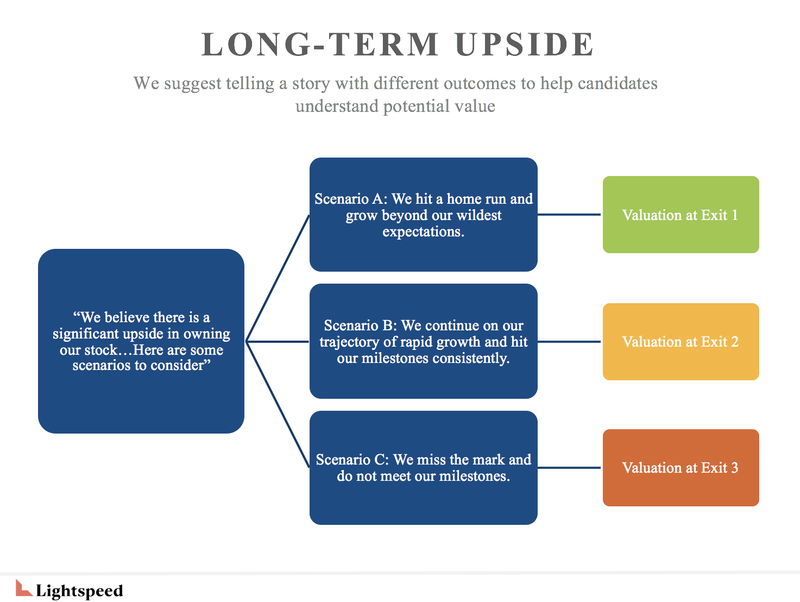 They use real-world exits (IPOs or acquisitions) to define potential value and tell a compelling story. Pick companies in the same industry. 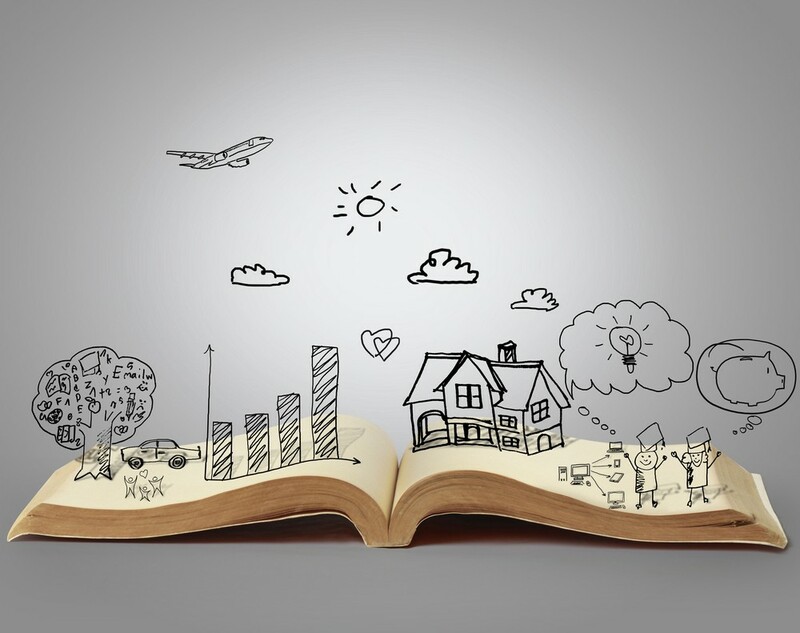 You need to tell a credible story of how each scenario can be achieved and how the candidate will contribute to that outcome. Be sure to emphasize these are theoretical outcomes and candidates should do their own research and due diligence. Calculating potential equity value from these scenarios can be tricky. Not all companies share sensitive information like valuation, strike price, or fully diluted shares. However, if you don’t relate the company’s success to the candidate’s financial outcome, they are unlikely to buy into the story. Percentage ownership- best used when % ownership is high and/or you can disclose valuation and fully diluted shares. Share price at exit- best used when % ownership is low or you are unable to disclose valuation or fully diluted shares. Multipliers (ex. 3x, 5x, 10x)- best used when no exits have occurred in your industry or you are unable to disclose fully diluted shares or valuation. Equity calculators can be useful tools for modeling these exit scenarios. In the Bay Area, it’s increasingly common for companies to provide a calculator to candidates. Since a company’s funding path, and the corresponding dilution multiple, is unknown, we prefer using the share price at exit method. Below is an example of a calculator using share price at exit. While there will always be additional variables, this provides a basic framework to help inform a candidate’s thought process. You would not use this method for financial planning, cap table management, investment decisions, etc. There is, of course, a lot of nuance to any of these assumptions and most startups will not achieve their goals. Candidates will have their own risk tolerance and may pick other exit scenarios. However, taking the time to clearly communicate financial expectations can make all of the difference in winning a candidate.